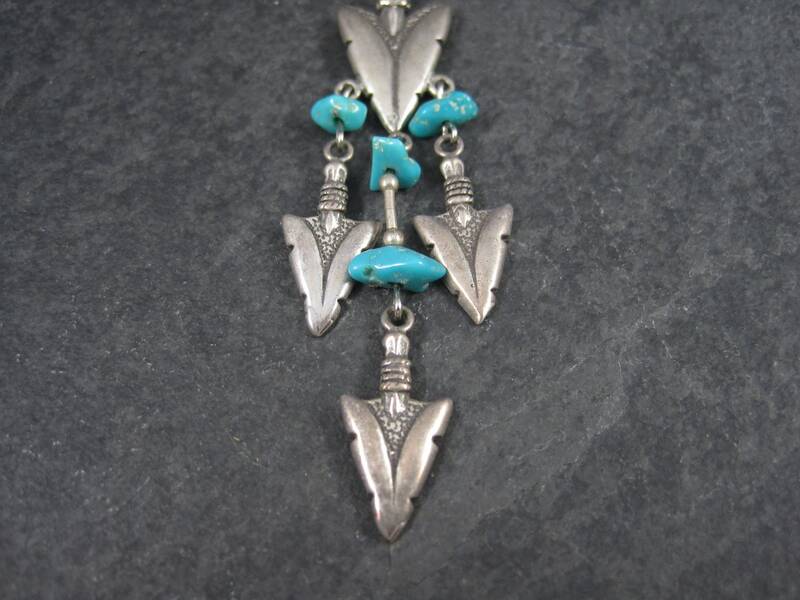 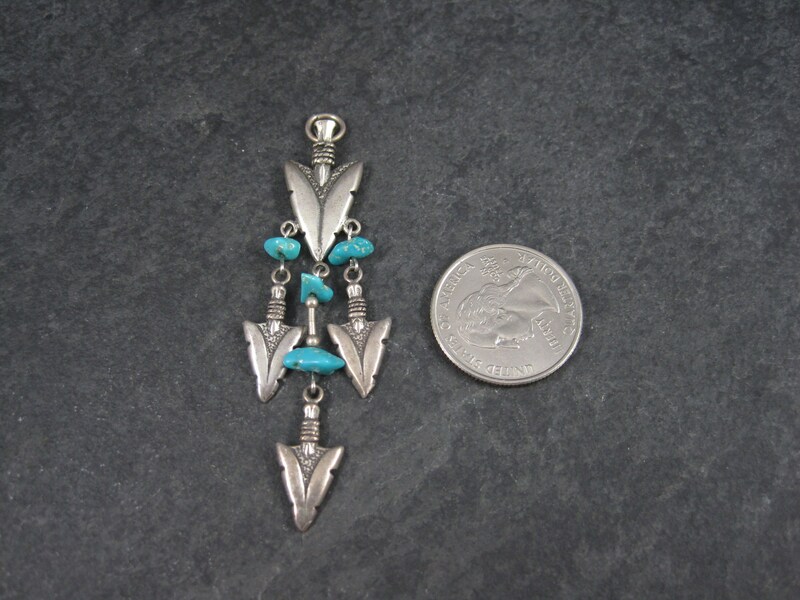 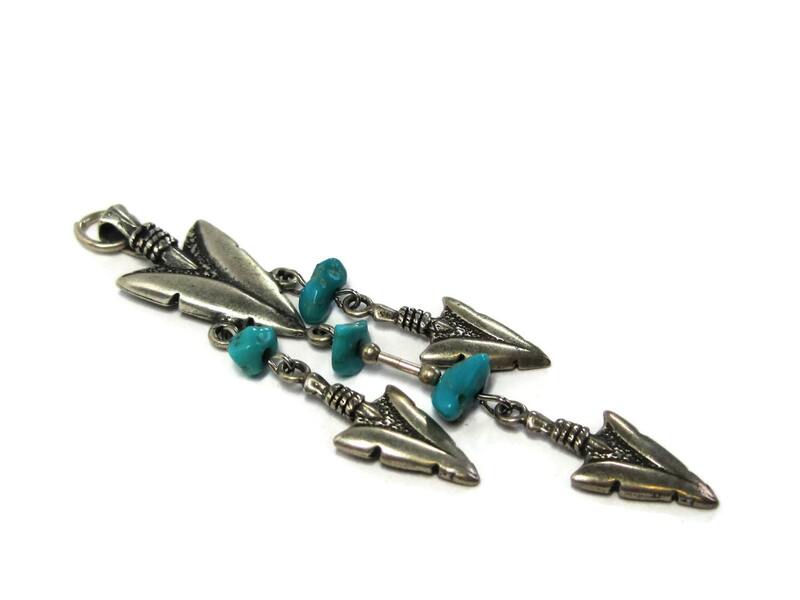 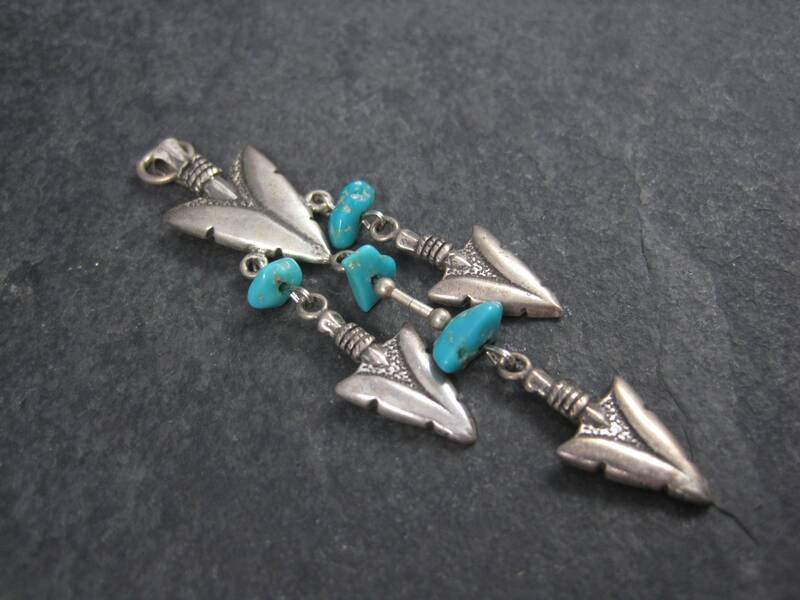 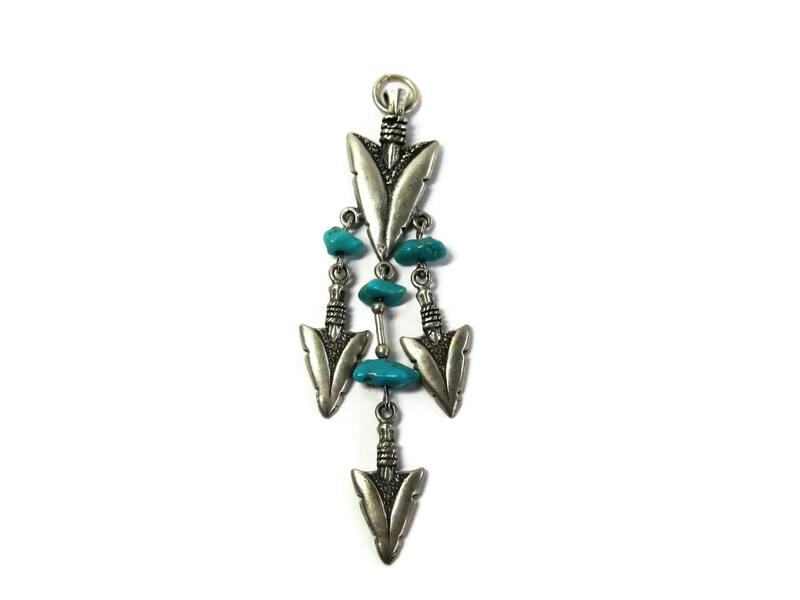 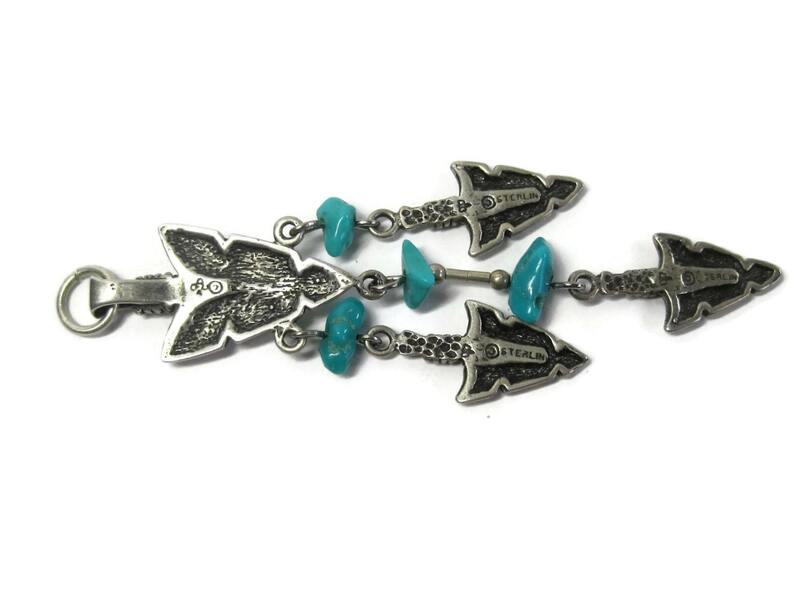 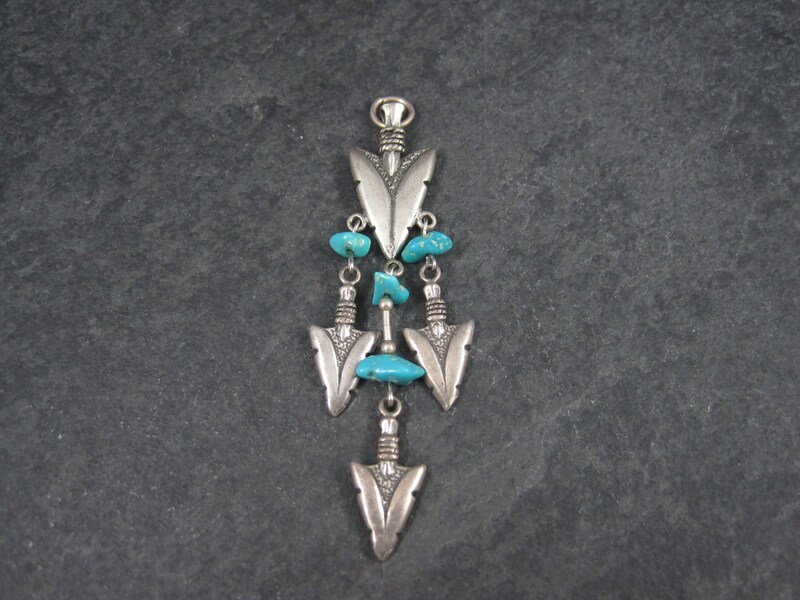 This gorgeous pendant is sterling silver with genuine turquoise. 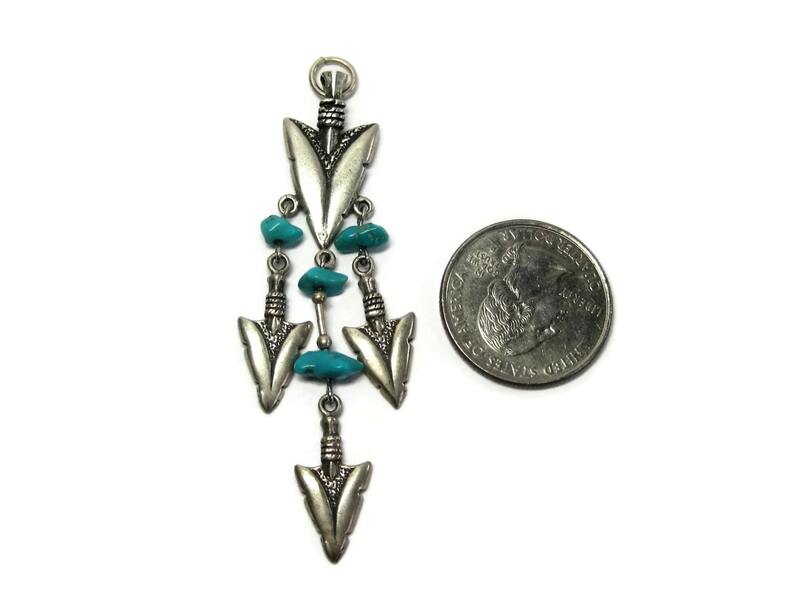 This pendant measures apx 7/8ths of an inch at its widest and is 2 3/4 inches long. 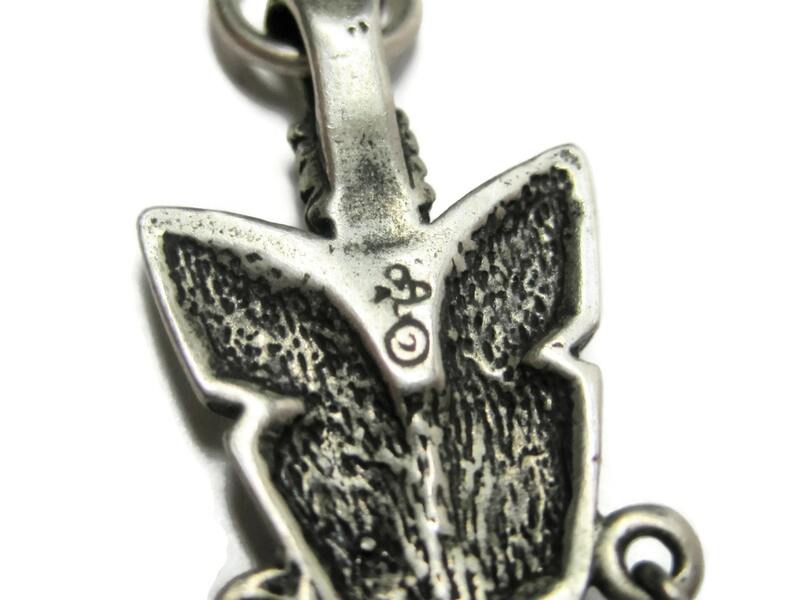 Each arrowhead is stamped with the makers mark and sterling. 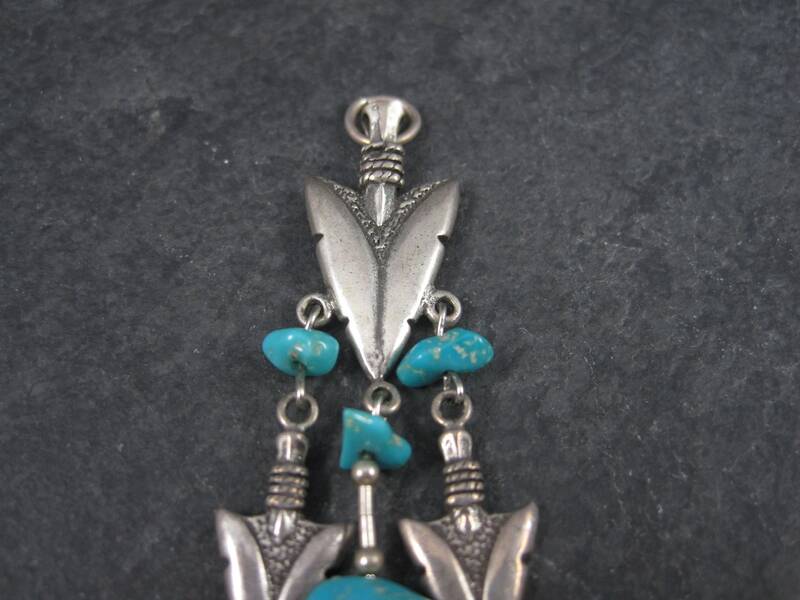 The maker is unknown to me.